Over the years, Microsoft Surface has grown bigger with the addition of new family members. The Surface now has five product lineups, including Surface Studio, Surface Book, Surface Laptop, Surface Pro, and Surface Go. Each product lineup has its own unique specifications, including screen sizes and resolution. For your convenience, in this article, we have created a table that contains information about the screen properties of each model of the Microsoft Surface. I hope the table above would be useful for all of you. If you think you found some mistakes, please don’t hesitate to let me know in the comment box below. 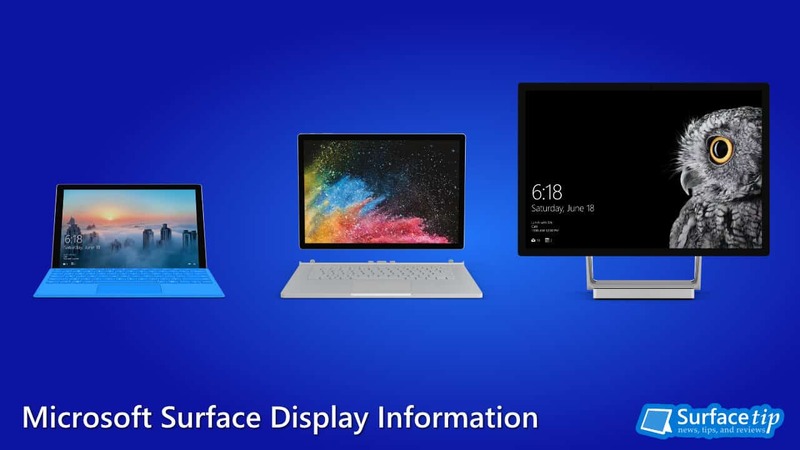 We appreciate hearing your thoughts, questions, and ideas about “Microsoft Surface display size and resolution – a complete list”. Please post respectful comments and on topic. We will be replying back to you as soon as possible. Share your idea about "Microsoft Surface display size and resolution – a complete list".